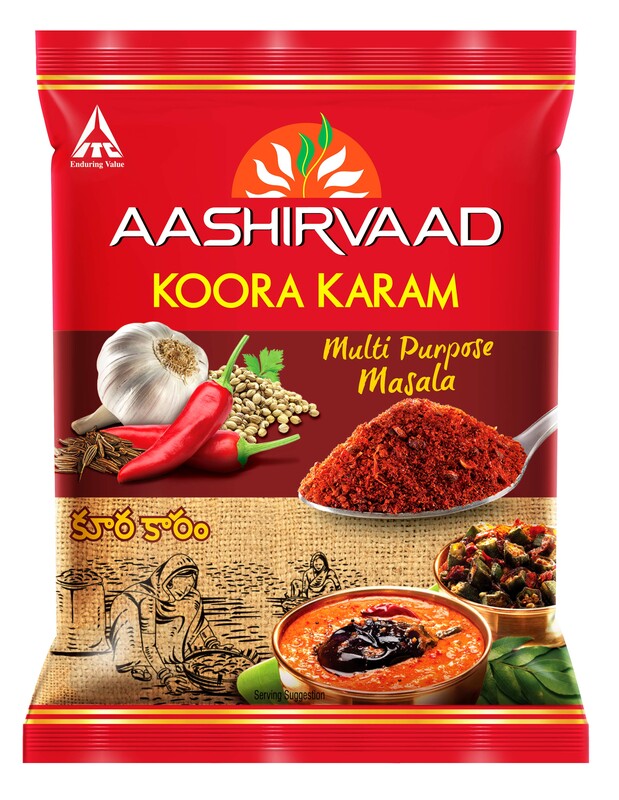 Hyderabad, April 16th 2019: Aashirvaad Spices, the market leader in the spices category in Andhra Pradesh and Telangana region, hasannounced the launch of Aashirvaad Koora Karam, a multi-purpose masala. The quintessentially Andhra pre-mix masala has been co-crafted after gathering in-depth insights on consumer taste preferences from thousands of households across the region, making the spice taste ‘Just like homemade, with your mother’s touch’. The spices used to make the multi-purpose masala are sourced directly from farmers across 170+ villages to retain the right aroma, pungency and colour. The masala will be available across all modern & general trade outlets in AP & Telangana in convenient pack sizes of 50g and 200g priced at Rs 15 and Rs 55 respectively.